There's no better way to add miles to your #ride5000miles challenge than to head off on an adventure. Here, pro tour operators Kevin and Julia Sanders reveal their secrets to brilliant adventures. 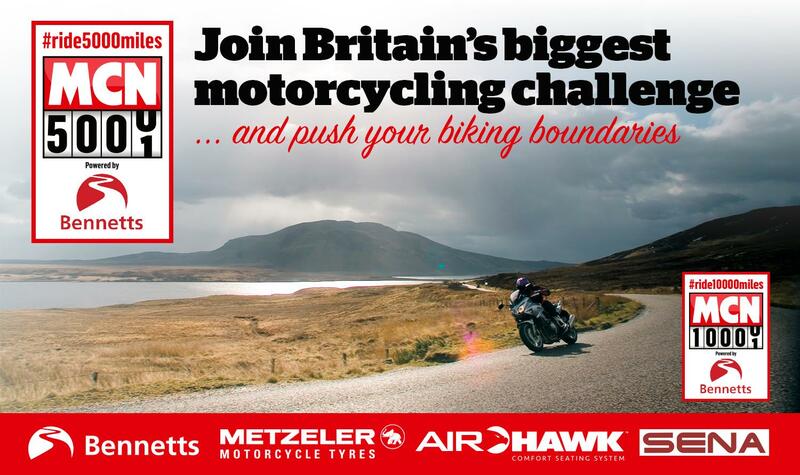 If you haven't already signed up to #ride5000miles then click the link and prepare for a great biking year. Motorcycle travel changed my life. I used to be a chartered accountant for a city firm. But when I met Kevin in a bar on a back-packing sabbatical in South America… life changed. We explored Latin America on a BMW R80GS for a year. Then Kevin got serious and decided it would be a good idea to circumnavigate the globe, might as well set a new World Record while we were at it too. After our second record ride on the Trans Americas in ’03, we founded GlobeBusters to inspire more riders to experience trans-continental motorcycle journeys. So, with years of experience in the bag, here’s our top advice to get you touring this year. We have always got our biking buzz from independent, long-distance travel. Our adventures always start beyond Europe; where the languages, food, money and cultures are completely different to our own. Countries where the roads have more potholes than tarmac, people drive like they’re taking part in a video game and AK47-toting soldiers guard checkpoints. Some adventurers thrive on dirt roads and wild camping. For others, simply riding on the ‘wrong’ side of the road and ordering a meal in another tongue is adventure enough. So the first thing to do is figure out what kind of riding you want to do. Next, think about how much money and time you can spare. Scandinavia is close to home - but expensive. Turkey and North Africa are further away - but much cheaper. Decide what you want from your tour and pick wisely. And don’t forget to take weather into consideration. Being spontaneous sounds fun, but a lack of planning can quickly wreck a trip. We’ve met riders who have been refused entry to countries because of incorrect paperwork, others who ran out of fuel because they didn’t realise how scarce it was in some parts, and those who missed incredible landmarks because they didn’t know they were there. We’re old-school. We research using maps and guide books, picking out winding roads away from cities and main routes. It’s easy to overestimate what you can do, based on a riding style that suits Western Europe, but not less developed countries. Putting yourself under pressure to get somewhere ruins the ride and increases your risk of an accident. Plan your trip carefully, allow plenty of time for breaks and an occasional day off from riding too. There are three important facts to remember about the riding skills needed for adventure touring. Firstly, you don’t need to be an off-road expert. Some of the most legendary adventure routes (like the Dalton Highway in Alaska) are virtually all black top. Secondly, even riding on paved roads can present challenges, such as climate, altitude, road conditions, local driving manners and wildlife. Finally, don’t underestimate the effort required to ride for days on end through unfamiliar terrain. Practice specific skills like handling a fully- loaded bike, slow speed control, reading bends and knowing your limits. It’s also worth taking some time to get used to off-road surfaces too. An overloaded bike is not fun to ride and constantly packing and unpacking at the beginning and end of each day is unnecessary hassle. If you can’t fit all your clothes into a carrier bag, you’ve got too much. Lightweight outdoor clothing and layers will reduce the amount of kit you need. Slim down toiletries and toolkit to essentials. Riding solo we use one pannier for clothes, toiletries, documents and the other for tools, spares and medical supplies. A small tank bag is handy for daily essentials so you can reach them easily. We pack the tent, sleeping bag, mat and cooking gear in a tough waterproof bag strapped to the rack. We like metal panniers because they’re tough, can be bent back into shape after a spill and can be locked.